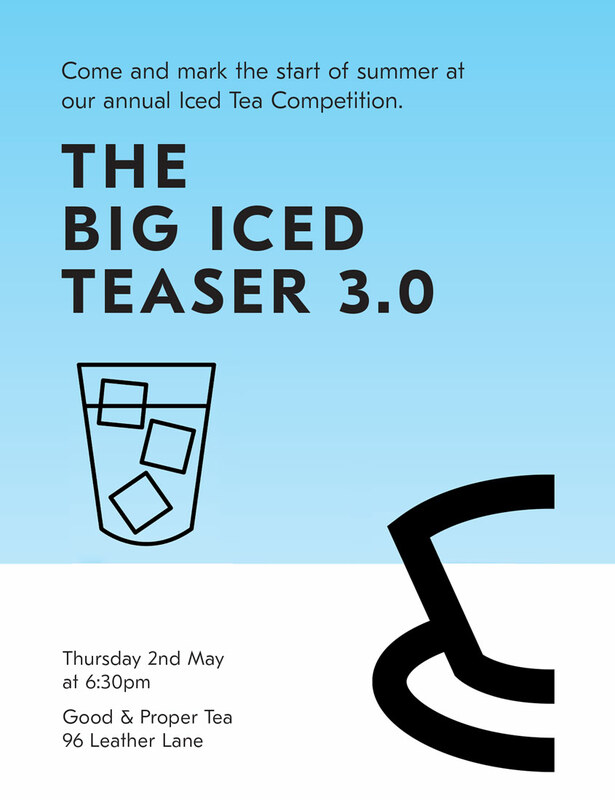 Once a year we invite you to come and play a vital role in our Big Iced Teaser competition, where we search for London's most delicious Iced Tea recipe. On the night of 2nd May, baristas and brewers from our partner cafes and tea bar, will be sharing their homemade iced tea recipes with our panel of 4 industry-expert judges (TBA). They will also be sharing it with you, the audience in a bid to win the People's Choice vote. Last year, Michaela and Ott representing Taylor St Baristas took the judges by storm with their City of Eternal Spring Iced Tea recipe. And in 2017, the team at The Peanut Vendor brought their iced tea A-game with the Jass Fusion. We can’t wait to see what they brew up this time around. We’ll have expert judges from the tea, coffee and cold drink worlds, tea cocktails plus a fully stocked bar and food to keep you fuelled.